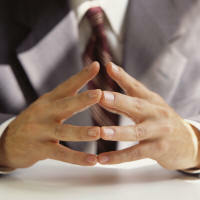 If you are thinking of entering into a business relationship, you need to know about the business and its key people. This specially designed Business Background Check searches for all available records pertaining to a business. This Expert Business Profile Report provides extensive business background information on any U.S. business, including owners and officers of partnerships and corporations. business assets, and professional licenses. Turnaround time is usually 7 -14 business days. Just enter your subject's company and personal identifying information, Company Name and Address, Principle (If you have this information), Name, Date of Birth or Social Security Number, current address or even a previous address in our secure order form. We will notify you when your report is complete via email with a link to access your report. Investigative Professionals. ©1994-2017 All rights reserved.